Hos Dorte: You are my Sunshine! 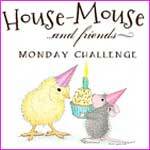 images and, or, any decoupage by House-Mouse Designs! the pad it's called 'Everyday' and contents several cute HM images. The papers are a mix of some leftovers from?? It's an easel card with a slightly different form. The sentiment is also from the cardmaking pad. A side veiw of the card with the 'cool' little fellow. I tink he is enjoying the sunshine! 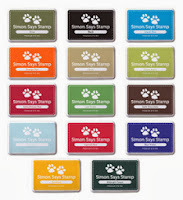 We are very happy to welcome back Heidi and Simon Says Stamp!! Wow, what a fabulous prize! Be sure to enter for your chance to win. Gorgeous , cute card. 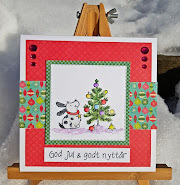 Thanks for sharing it with us at Crafty Cardmakers and good luck with the challenge, Angela x DT. Gorgeous and sweet card Dorte....great matching papers! Absolutely adorable! Love the bright sunshiney colors. A gorgeoud card Dot, a fabulous design with beautifuly coloured cute image and lovely papers and details!! Hi Dot, what a fantastic image. Love your card you created with it. Super colors for the sunshine challenge too. How perfect is this image for this challenge...love it Dorte! I love the papers and that sentiment couldn't be better! Enjoy your week Dorte! This is so sweet - love the unusual shaping. What a great picture. Beautiful card in these colours. What a cutie! He is paired up with the perfect paper too. Thanks for joining in YNS challenge #38! A lovely bright, summery card and the image is such fun. Your card is just great! I really love it! Thanks for joining us at Gruffies & Guests Challenge.